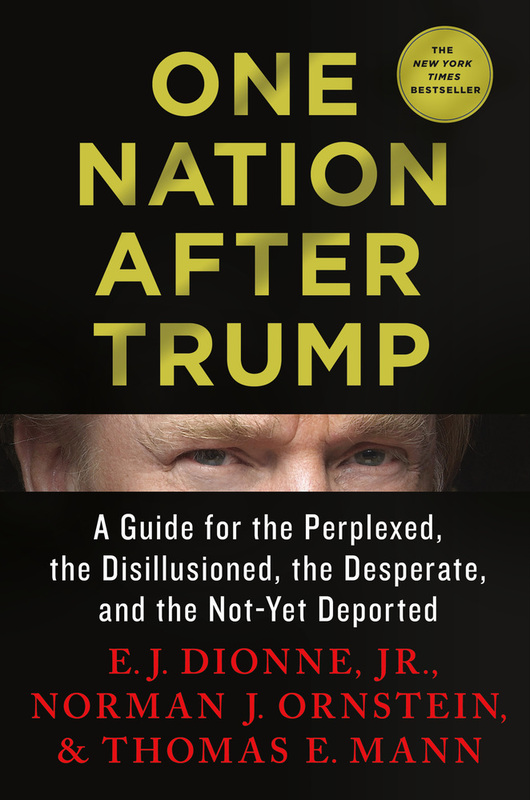 A call to action from three of Washington's premier political scholar-journalists, One Nation After Trump offers the definitive work on the threat posed by the Trump presidency and how to counter it. Yet if Trump is both a threat to our democracy and a product of its weaknesses, the citizen activism he has inspired is the antidote. The reaction to the crisis created by Trump’s presidency can provide the foundation for an era of democratic renewal and vindicate our long experiment in self-rule. The award-winning authors of One Nation After Trump explain Trump’s rise and the danger his administration poses to our free institutions. They also offer encouragement to the millions of Americans now experiencing a new sense of citizenship and engagement and argue that our nation needs a unifying alternative to Trump’s dark and divisive brand of politics—an alternative rooted in a New Economy, a New Patriotism, a New Civil Society, and a New Democracy. 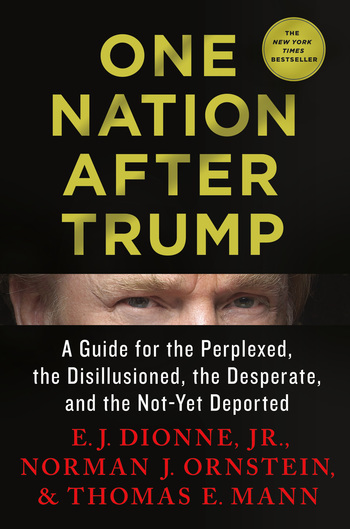 One Nation After Trump is the essential book for our era, an unsparing assessment of the perils facing the United States and an inspiring roadmap for how we can reclaim the future. E.J. Dionne, Jr., is a columnist for The Washington Post, Senior Fellow at the Brookings Institution, and professor at Georgetown University. Thomas E. Mann is a resident scholar at the Institute of Governmental Studies at the University of California, Berkeley and a Senior Fellow at the Brookings Institution. Norman J. Ornstein is Resident Scholar the American Enterprise Institute and a contributing editor and columnist for National Journal and The Atlantic. They are the authors of recent New York Times bestsellers, Dionne’s Why the Right Went Wrong and Mann and Ornstein’s It’s Even Worse Than It Looks.